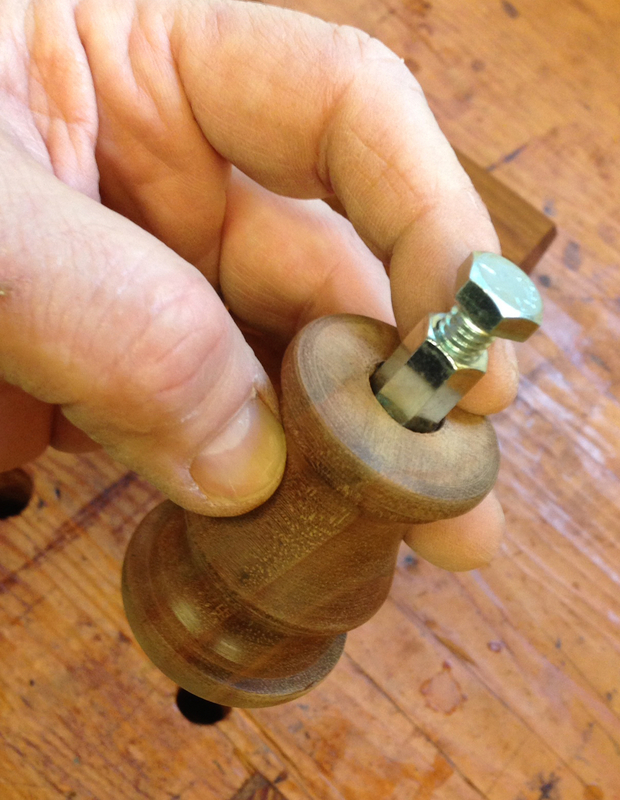 I made the last (I hope) part for the Chevy — just a knob for the saw frame. The main purpose of the knob is to provide a place to press your chest against when putting a blade in the saw. The process is to clamp one side of the blade, then slightly flex the saw frame by squeezing it against your chest and clamping the other side of the blade. 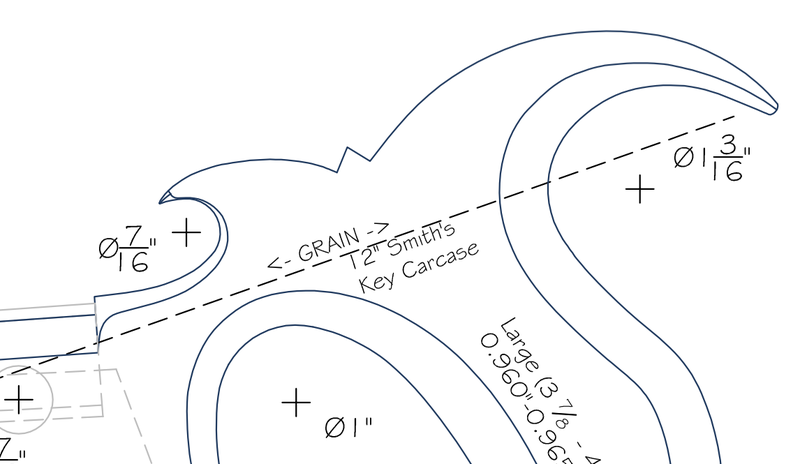 I don’t think I love the shape, but it will serve to assemble the saw once the finish dries. Which might be a while, since it’s cool here and I’m using an oil-based finish. I wiped a couple of additional thin coats of oil/poly mix on the parts today. I’d like to imagine that it will be cured tomorrow, but then I’d like to win the lottery tomorrow to. I don’t have high hopes of either coming to pass. But it’s done. Fin. Críochnaithe as my ancestors would say. 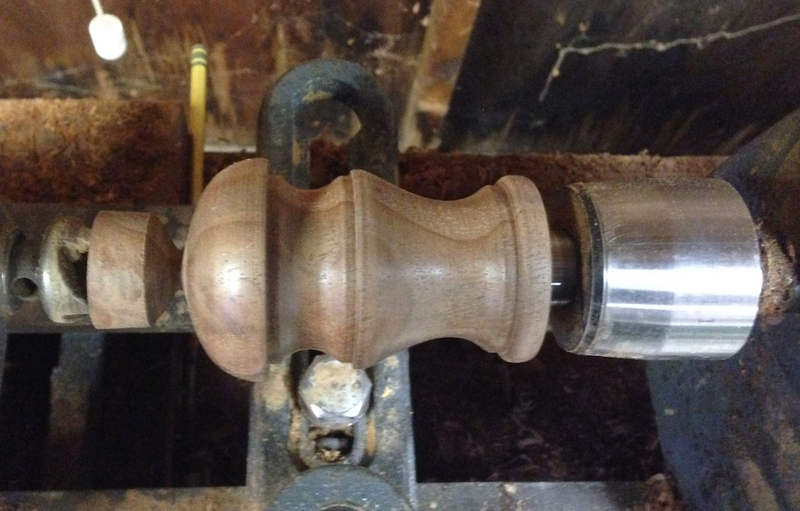 Knob for the Chevy saw frame turned from a scrap of Claro Walnut. It could double as a gear shift knob for a classic Chevy. I epoxied a 5/16-18 coupling nut into a counterbored hole, this will thread onto the back of the blade clamp in the hardware kit.